Superfan, James (Kyle Mooney), is obsessed with the clever if quaintly goofy kids’ show Brigsby Bear. A bright, sensitive young adult still living at home, he has grown up with this fantasy series, and the programme has grown with him too - getting ever more complex over the years. One dramatic night, James’ insular world is upended. During the disorienting and often hilarious transition to a new life that follows, Brigsby remains James’ security blanket and, upon learning the series has been cancelled, he adopts the old adage that the show must go on. Brigsby Bear is a charming, original and unexpectedly moving film about family and friendship, acceptance and the power of shared experience. It is heartwarming, thoroughly entertaining and (laugh out loud) funny. However, you might not realise all of this from the movie’s rather bizarre opening scenes. Directed by Dave McCary from a story by Kyle Mooney and a script by Kevin Costello, the film starts with footage from the Brigsby Bear television series. (Cue some bemused, rather nervous audience responses in my screening). However, by depicting the Brigsby Bear show in this way, the three filmmakers are able to explore nostalgia and the art of storytelling. When the film’s premise is revealed, so its themes become apparent. Themes that very much depend on Mooney's ability to portray James. For Brigsby Bear to work, Mooney has to make us care and also feel comfortable laughing at what is an undeniably dark situation. Meanwhile, within an impressive cast (who all give charming and sensitive performances) one name stands out. Mark Hamill’s casting is an absolute coup on many fronts. In a film about nostalgia and fan obsession who better to play the role of Ted Mitchum? 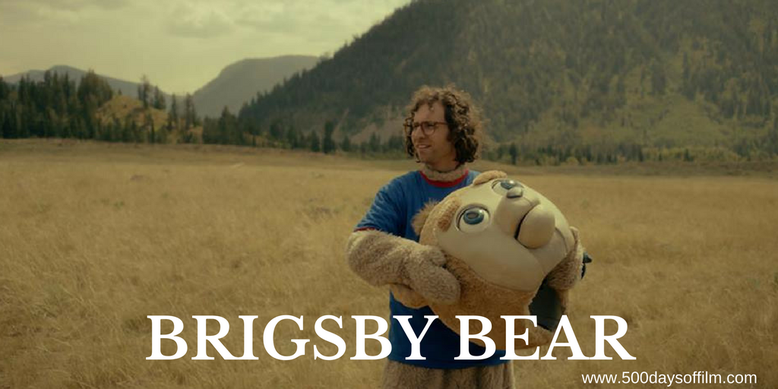 Much of the joy of Brigsby Bear lies with James’s obsession with his favourite television show. The filmmakers had fun creating the mythology behind Brigsby Bear (a world complete with impressive marketing paraphernalia) and spent weeks designing the titular bear. In addition to the fun of the (vast) Brigsby Bear universe, the film also explores how a movie, television show (or any form of art) can help us make sense of our world. The movie looks at the power of a shared experience and how this can unite communities and enable people to make meaningful connections. Meanwhile, Brigsby Bear is also a love letter to film and the act of filmmaking. “Hopefully people who see the movie will walk away with a love for filmmaking and get inspired to go out there and make something of their own,” says Mooney. On paper, the story of Brigsby Bear may seem odd and potentially off-putting. However, do not be deterred from watching this charming and uplifting film. It certainly won me over and stole my heart. The powerful themes of friendship in Brigsby Bear should come as no surprise given that the filmmakers have been friends since middle school. Kyle Mooney cites Hal Ashby’s film Being There as a key inspiration for the tone of Brigsby Bear. Have you seen Brigsby Bear?